A careful selection of products, an efficient dynamic representation and active management relationships with all his partners are Global FLCCG strengths. We represent each manufacturer and company with integrity, energy and professionalism. 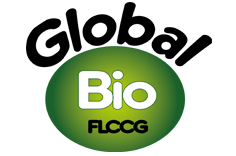 Global FLCCG mission is to optimize marketing and sales development of the organic, fair trade and biodynamic products for the different international, national and local manufacturers in the Canadian and European territories. Global FLCCG is involved actively in the sustainable development and in the long term relationships by a careful selection of his partners according to their reputation of quality and equity, by promoting local trade and by complying with all the stakeholders.